Izabella Laba is a leading mathematician working at the University of British Columbia. Her research spans several fields such as harmonic analysis, geometric measure theory, mathematical physics, and the relatively new (but fast-breaking) area of additive combinatorics. She is highly awarded, having won the prestigious Coxeter-James and Krieger-Nelson Prizes of the Canadian Mathematical Society. In 2012, she became a fellow of the American Mathematical Society. Izabella was an invited speaker at the International Congress of Mathematicians in Seoul in 2014. Izabella is one of the small, but growing set of mathematicians active in research and also active engaging social media. Her blog The Accidental Mathematician has great pieces on her experience with mathematics, gender, and the academy. My own blog is inspired by hers! She is active on Twitter, and is an avid photographer; the stunning featured image of this blog is one of her photos taken from her Google+ archive. This is my first interview with a mathematician outside of my own field of networks (although I also work in combinatorics, but in a different direction than her’s). Izabella was, as I expected, both insightful and generous with her responses. I’ve never heard mathematics compared to architecture before, but the analogy is an excellent one. AB: When did you first realize you wanted to be a mathematician? IL: That was more like a process than a realisation. It was never a clear-cut choice. I’ve always been interested in mathematics, but I also always had other interests. Part of it was that mathematics was how I got out of Poland; I was admitted to graduate school at the University of Toronto. That happened at a time when I was considering other options because my mathematical work was not going anywhere. It was a sequence of such choices that led to the career I have now. AB: Who most influenced your early career? IL: I’m not sure that anyone did. My mother encouraged me in mathematics, but not always in ways I appreciated. On the other hand, I also had teachers who discouraged me from mathematics, and that made me want to study it more. I was a good student, but I was female and that was a problem. There was this one teacher in high school who said in class, and also told my parents in private, that girls did not have research careers. They might be good in school, but then they would just get married and that would be the end of their intellectual pursuits. AB: You’ve proven them wrong! AB: You completed your Masters in Poland, and then a PhD at University of Toronto. What was it like splitting your graduate work across two countries? IL: I had to learn English. I had to learn some mathematics again in a new language. I had to get used to living elsewhere. One of the hardest parts was just applying to graduate school. Poland was still a communist country then and communication with the rest of the world was very difficult. For example, I would get a scholarship notification letter in the mail three weeks after it was sent, and then I would only have one week left to respond. With the Polish postal service barely functional at the time, making the deadline required serious effort. There were issues like that all the time, making the logistics extremely complicated. Studying mathematics had been easy by comparison. It took me some time to get to a point where I could do actual research. I had setbacks and projects that didn’t work out. I did not solve the first question that was supposed to be my thesis topic, on asymptotic completeness for long-range multiparticle systems with an improved range of exponents. AB: That was a question in mathematical physics? IL: Yes. It was very difficult and is still unsolved. AB: You work in many areas such as mathematical physics, analysis, geometry, number theory and combinatorics. How did you come to work in these areas? IL: Here I should mention someone who did influence my mathematics: Tom Wolff, who was at Caltech at the time when I worked at UCLA. I met Tom there, started attending his seminar and got interested in his mathematics. This was also a time when I began looking for ways to break away from mathematical physics, because I didn’t want to be in that field for the rest of my career. Tom’s mathematics appealed to me as it pursued questions instead of fields. Instead of working in this or that field, you went after a question, and you went wherever that question took you. If it meant that you had to learn some combinatorics or number theory, then you just had to do it. I found that exciting and different from what I had been doing up to that point. It really appealed to me. AB: Which of your research accomplishments are you most proud of? IL: Probably at any given time, it would be my most recent paper. Right now I just finished an article with Hong Wang on multi-scale lambda-p sets. These are fractals that are very highly random, in ways that can be quantified using harmonic analytic estimates. We use a lot of harmonic analysis, geometric measure theory, and some probability. It was fun to work on it. I’ve had several projects along similar lines, where my collaborators and I take results from harmonic analysis and try to develop analogues for fractal sets that might be of interest in geometric measure theory or dynamical systems. This links several areas of mathematics. On one hand, there’s inspiration from many different directions. On the other hand, it’s not always straightforward to move ideas from one field to another, so then you have to develop something new. Another project that I had a few years ago was on Favard length of sets. There, you start with a problem in geometric measure theory, but if you’re interested in quantitative results, you need to do some harmonic analysis. And then it turns out that the harmonic analysis part also requires some number theory. We even had to dig up some old combinatorial results about sums of roots of unity. AB: Academic publishing is changing rapidly. You are active in the new arXiv overlay journal Discrete Analysis. Please tell us more about your involvement with the journal, and your perspective on it in contrast to traditional academic publishing. IL: I’m on the editorial board of the journal. When a submission is received, there is usually a quick conversation to see if we want to proceed with the detailed refereeing. If so, then the editors assign referees, and there is another discussion after reports are received. If a referee suggests revisions, we supervise the process. Unlike conventional journals, we don’t do copy editing or formatting for the paper. There are no subscriptions or printed physical copies of the journal. Our web page aggregates links to the papers and provides short editorial descriptions, but the papers still live on the arXiv. AB: This is the first mathematics journal I am aware of that is an arXiv overlay. IL: There were other such journals previously, but not in mathematics. AB: Do you think this is a trend for the subject? IL: It might be. I can easily see other mathematics journals like that being created and I’d be happy to have more of them. I don’t see overlay journals replacing the traditional publishing system altogether, but they could become a significant part of academic publishing. AB: What inspires your mathematical ideas? IL: That’s hard to describe. Much of it comes from reading other people’s mathematics. You find an idea here and you think about applying it elsewhere, or combining it with a different idea you’ve found somewhere else. I need intellectual inspiration beyond mathematics, even if it’s indirect. I would not go so far as to say that this painting or that newspaper article inspired this specific mathematical idea. But I do know that if I am deprived of stimulation like art or reading, then my mathematics suffers. AB: Mathematicians say they are drawn to the beauty of the subject. What role do you think aesthetics has in mathematics? IL: There is a role for it, but it’s not completely clear what it should be. It might be a little bit similar to architecture, in that beauty is tied to functionality rather than pursued independently. The building has to stand upright, it should support infrastructure like plumbing and the electrical system, and at the same time, it should also be pleasing to the eye. 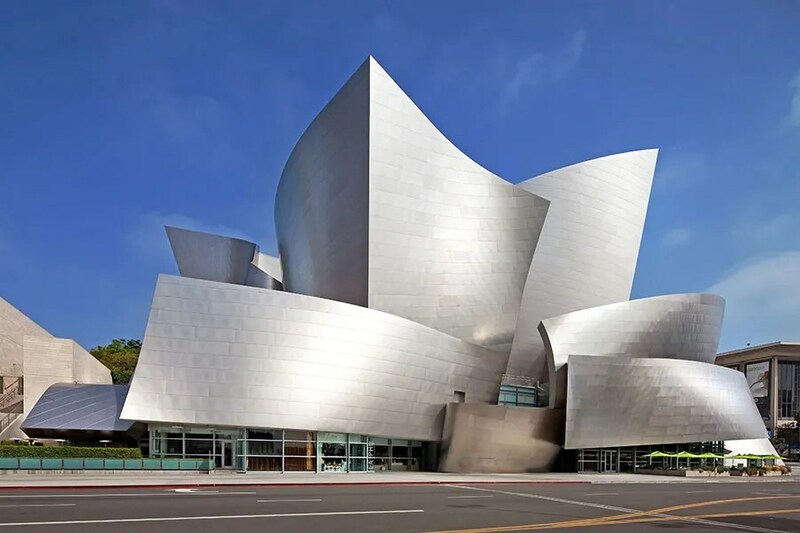 And there are also times where the architect’s vision for what a building should look like inspires the development of new technical solutions to make that possible, so there’s a give and take in both directions. Another example would be the design of electronic devices. Apple gadgets can be beautiful and pleasant to hold, but they also have to be functional and their beauty is not separate from that. The form and the function influence each other. Mathematics is a little bit like that. I don’t set out to produce beautiful mathematics. I want it to be correct and to answer questions that people might be interested in. Making it appealing and beautiful can be directly at odds with the requirement to keep it correct and complete. I try to reconcile these competing demands where possible, and that often improves my work. But where they can’t be reconciled, I have to stay with the correct and ugly. AB: What advice would you give to young people, especially young women, who want to study mathematics? IL: I’m not sure that there’s any blanket advice that I could give to everyone. People are not all the same and what works for one person might not work for someone else. You see it very clearly when you work with graduate students, especially if you have more than one at a time. They all have different personalities, attitudes, approaches to mathematics..
Perhaps the one piece of advice that I could offer is to never discourage anyone from studying math just because they are different from you. They might not look like you, talk like you, or do the same things as you in their free time, but none of it means that they can’t do mathematics. By the same token, if you are different from other mathematicians you know, that doesn’t mean you shouldn’t be there. AB: You are active in social media through your blog and tweets. What do you think is the role of social media in the mathematics community? IL: I don’t think of my use of social media as connecting with the mathematics community. I don’t know if there even is a mathematics community! There are mathematicians—whether it’s a community, that’s a different question. AB: Do you think your social media interactions can help people understand mathematics better? IL: I interact with many people on social media, not just with mathematicians and not only about mathematics. Now, these people may be aware that I am a mathematician. If they imagined mathematicians as people who just sit in their respective ivory towers, not interested in talking with anyone else, then it’s possible that my presence on the internet might contradict those ideas. But generally, I’m not out there trying to educate or proselytize. I choose the groups that I interact with based on things like shared interests or willingness to engage in a discussion. Mathematics is not a very large part of that. AB: You maintain a Google+ page containing your photography. Can you talk about your photos, your subjects, and what interests you? IL: I love taking photos of nature. I’m very lucky to live in the Pacific Northwest. I fell in love with this area when I first visited a long time ago. That’s where I wanted to live, and that’s where I live now. My photography is my way of processing how I see nature—how I think about it. Mostly it’s something I do for myself, although I do post photos on the internet and I’m glad when people like them. AB: Let’s finish by looking forward. What do you think are the major directions in mathematics? IL: If you are asking about specific developments or areas that might become hot, I don’t know. If you are asking about general trends in how mathematics is going to develop, then I think we might see more interaction between different areas of mathematics. We might see new areas of mathematics forming, the way additive combinatorics formed over the last decade or two. There is much more connectivity between people now, with more opportunities to talk to each other. There is more collaboration. I think the result of that is that people will be less likely to just stay in one area of mathematics, and more likely to branch out or move back and forth between several fields. This is already happening in science and the arts. I think mathematics develops more slowly (for example, it takes longer to write or read our papers), but the general direction is the same.